Now we are on the famous tech news media, Startup Dating!! 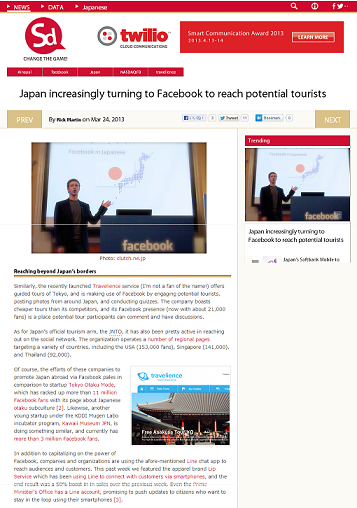 The article mentions travelience’s making use of Facebook and cheaper tours compared thank the competitors, while touching on the　success of Tokyo Otaku Mode. We are really happy and excited to be an article on Startup Dating, and to be one the same page as Mark Zuckerburg too!! Please contact us for media interviews.